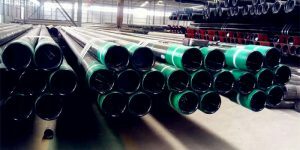 Heat treatment methods for carbon and alloy steel pipe include 4 mainly types: normalizing, annealing, quenching and tempering. It will improve steel material mechanical properties, uniform chemical composition, and machinability. 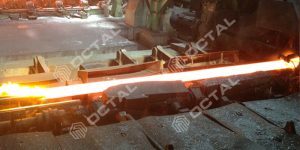 Heat treatment for steel metal materials can be divided into integral heat treatment, surface heat treatment and chemical heat treatment. 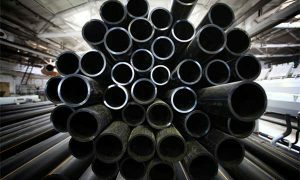 Steel pipe generally adopts the integral heat treatment. 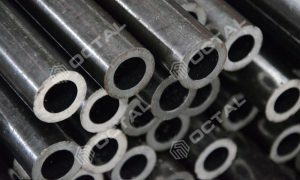 The performance of steel material mainly refers on mechanical properties, physical properties, and process performance. 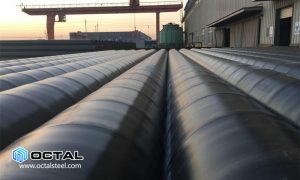 Heat treatment will bring different metallurgical structure and corresponding performance for the steel pipe, so could be better applied in different industrial or the oil gas services. There are two methods to improve the properties of steel material. One method is to adjust the chemical composition, named alloying method. The other method is heat treatment. 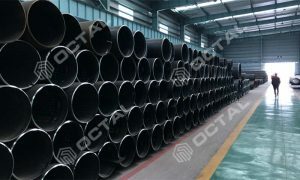 In the field of modern industrial technology, heat treatment improve steel pipe performance at dominate position. The steel material could be heated below the critical point or above critical point. The former heating way can stabilize structure and eliminated the residual stress. The latter way can make material austenitizing. 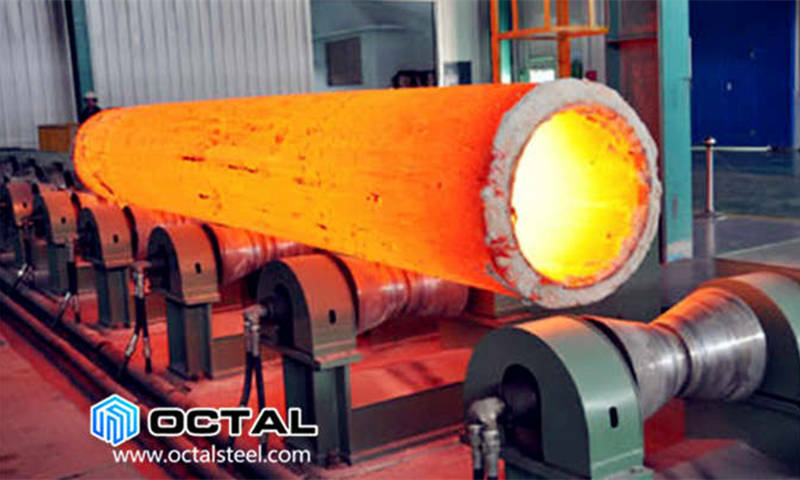 Austenitizing is to heat steel metal over its critical temperature long time enough, so it could be transformed. If a quenching followed after Austeniting, then the material will be harden. Quenching will take fast enough to transform austenite into martensite. 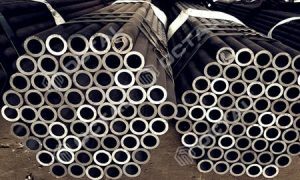 Once reached austenitizing temperature, suitable microstructure and full hardness, the steel pipe material will be attained in further heat treatment processes. The purpose of heat preservation is to uniform the heating temperature of steel material, then it will get a reasonable heating organization. 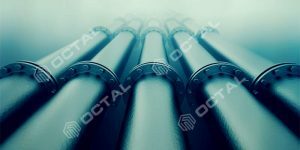 The cooling process is the key process in heat treatment, it determines mechanical properties of steel pipe after cooling process. The heat treatment processes for steel pipe includes normalizing, annealing, tempering, quenching and other process. Heating the steel pipe above the critical temperature, and cooled in the air. 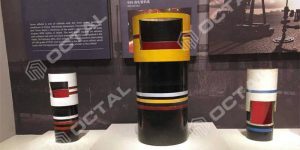 Through normalizing, the steel material stress could be relieved, improves ductility and toughness for the cold working process. 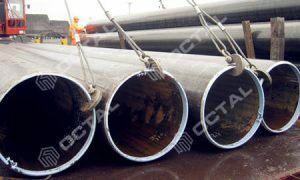 Normalizing usually applied for the carbon and low alloy steel pipe material. It will produce different metal structure, pearlite, bainite, some martensite. Which brings harder and stronger steel material, and less ductility than full annealing material. Heating the material to above its critical temperature long enough until microstructure transform to austenite. Then slow cooled in the furnace, get maximum transformation of ferrite and pearlite. Annealing will eliminate defects, uniform the chemical composition and fine grains. 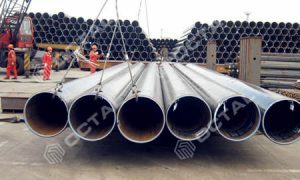 This process usually applied for the high carbon, low alloy and alloy steel pipe need to reduce their hardness and strength, refine the crystal structure, improve the plasticity, ductility, toughness and machinablity. Heating the steel pipe material to critical temperature until microstructure transformation is done, cooling it in a rapid rate. Quenching purpose is to produce the thermal stress and tissue stress. It can eliminate and improve through the tempering. The combination of quenching and tempering can make the comprehensive performance improved. Heating the steel material to a precise temperature below the critical point, and often done in the air, vacuum or the inert atmospheres. There are low temperature tempering 205 to 595°F (400 to 1105°F), medium temperature and high temperature tempering (to 700℃ 1300℉). 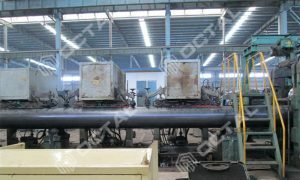 The purpose of tempering is to increase the toughness of steel and alloy steel pipe. Before tempering, these steel is very hard but too brittle for the most application. 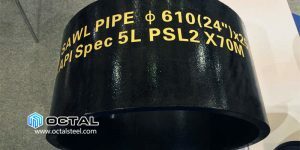 After process can improve the plasticity and toughness of steel pipe, reduce or eliminate the residual stress and stabilize the steel pipe’s size. Brings good comprehensive mechanical properties, so that it does not change in service. Heating an alloy to a proper temperature, preserve it at this temperature long enough to cause or more constituents to change into a solid solution, then cooling it at rapid rate to hold these constituents in solution. There are various of cast and wrought nickel-based alloys that can achieve different required performances through solution treatment or by precipitation age hardening. Characteristics as room temperature and elevated temperature mechanical strength, corrosion resistance and oxidation resistance will be significantly enhanced by this heat treatment. 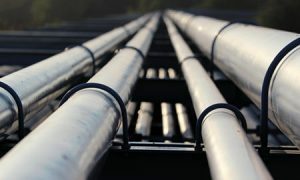 Many nickel-based alloys develop their desired properties solely through the solution treatment, like Hastelloy and nickel alloy steel pipe. During solution treatment, the carbide and various alloying elements are dissolved uniformly in the austenite. Cooling rapidly will make carbon and alloy elements too late to precipitate, and obtain the heat treatment process of single austenite tissue. 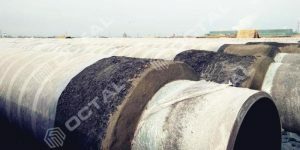 The solution treatment can uniform internal structure and chemical compostion. 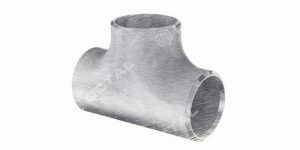 It can also restore the corrosion resistance for Hastelloy and nickel alloy steel pipe.